January 30, 2019- Stone Ridge, NY- SUNY Ulster has been named a Top 10 Military Friendly® School for 2019-2020 with a Gold status. The college has been awarded a Military Friendly designation since 2009 and has held Gold status since 2018. 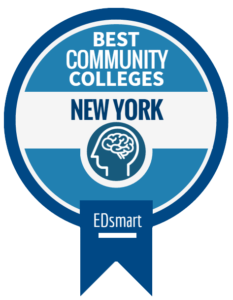 Under Military Friendly’s specifications, Ulster is #4 out of the Top 10 in small community colleges with a Gold status, putting the college in the top 5% of community colleges nationwide who receive a Military Friendly designation. 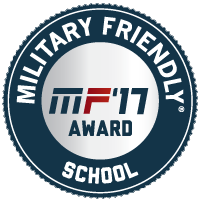 Military Friendly® is the designation that measures a school’s commitment to veteran and veteran dependent recruitment, retention, and advancement. These are assessed through an analysis of graduation/career outcomes, academic policies, admissions/orientation, culture/commitment, financial aid, and military student support. This year, the Veterans Club is collaborating with clubs from SUNY New Paltz, SUNY Dutchess, and Marist College to create fun, veteran-friendly social events, including a formal dance and a paint ball challenge. The college also recently created a small library of donated books which veterans can utilize while in the Battle Buddy Center to complete assignments. 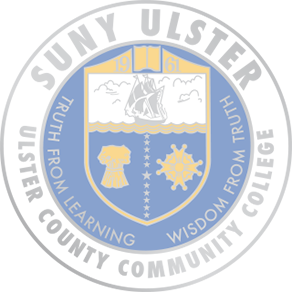 SUNY Ulster is an approved educational institution under the Veteran's Educational Assistance Act (GI Bill) and the Dependent's Act. SUNY Ulster also cofounded the Veterans Consortium of the Hudson Valley for Higher Education, a culmination of 38 colleges working together on best practices for veteran students. The college works with outside agencies, including the Ulster County Veterans Agency and the Veterans Administration, to ensure veterans receive necessary services. Tommy Guerrero, a veteran student at SUNY Ulster, says, "The level of service provided by Manuel Torres, the Veterans Coordinator at SUNY Ulster, was outstanding. He possesses a wealth of information and is dedicated to helping veterans achieve the best outcome possible in their educational endeavors. The Battle Buddy Room is an amazing resource and shows the college's commitment to the veteran community." Interested veterans and their families can learn more about SUNY Ulster’s military veteran opportunities at http://www.sunyulster.edu/admissions/military/.